When it comes to the architectural sense of place in a village, at the Witchcliffe Ecovillage we believe in the old saying “beauty comes from diversity with continuity.” The reason people tend to find many of the old European villages around the world so attractive is that they were built out of a combination of local materials, usually stone, earth and timber, which resulted in buildings with strong continuity and character. However, it can also be said that many of these buildings, while visually attractive, are also dark, cold and uncomfortable. 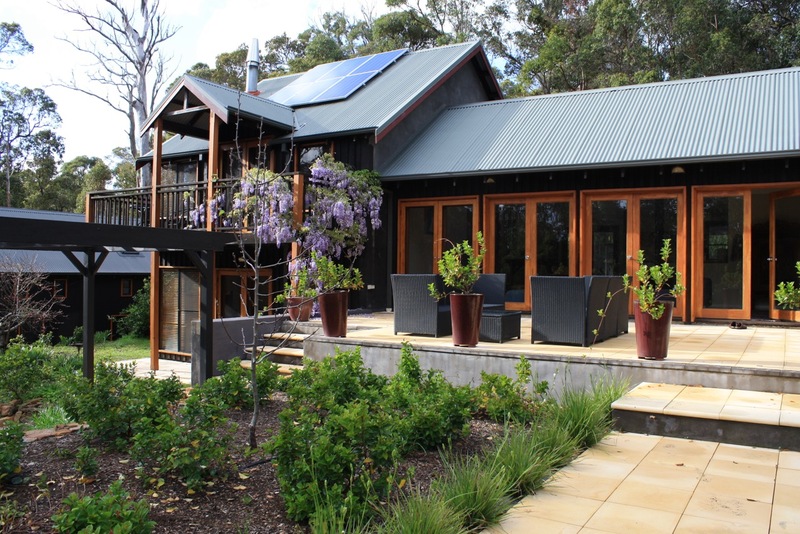 At the Witchcliffe Ecovillage, our team is developing Sustainable Building Design Guidelines to ensure that public buildings and homes in the village reflect the best of both worlds. We want to ensure that buildings are solar passive, light and warm in winter, cool in summer, and energy efficient, while being built out of a limited palette of local sustainable materials to provide cohesion and develop a strong sense of place. The Sustainable Building Design Guidelines will contain simple design principles and sustainability requirements that will guide the design of homes on each type of residential lot. The Design Guidelines will ensure that all homes are solar passive and energy efficient, requiring very minimal, if any, space heating or cooling. The Witchcliffe Ecovillage subdivision layout has been designed to ensure that all lots are orientated to guarantee that every home has full northern exposure to living rooms. The guidelines will include simple requirements to ensure that buildings maximise the benefits of the lot layout, for example, the location of living rooms, the ideal depth of eaves and verandahs to ensure solar access, etc. The Design Guidelines will specify roof and rainwater tank sizes to ensure that every household and business can supply their own rainwater requirements. Guidelines for solar PV and battery requirements and placement will also be provided. In order to create a sense of architectural continuity and sense of place, and to promote the use of sustainable building resources, the Design Guidelines will provide a required materials palette, with an emphasis on sustainable materials like local and recycled timber, locally sourced stone (granite & limestone), rammed earth, earth render, and straw bale construction. The Design Guidelines will also require the use of non-toxic, low VOC, and “cradle to cradle” materials in building construction—non-composite materials that can be reused and recycled easily when buildings are at the end of their life cycle. All building sites will be required to conform to the Master Builders’ Smart Waste Guide during construction to minimise waste and avoid pollution during building.